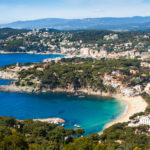 Looking for more excitement than just laying on the beach all day, enjoy the best of l’Escala and the Costa Brava! L´Escala the picturesque fishing village on the Costa Brava. Despite that this little village has become a popular destination among tourists, you can still feel the authentic atmosphere when visiting this charming village. L’Escala is located central on the coast of the Empordà. The charming village is surrounded by different kind of landscapes: Beautiful long and wide beaches, a wild coastline with high cliffs and several swamps. The inland has both hills with trees and flat fields of agriculture. More than enough to do in Escala. If you like Anchovy you are at the right place! L´Escala is famous in Spain for its well known anchovies pickled in salt. This delicacy plays such an important role in this town that they even have an anchovy festival once a year. You should definitely experience this event! Off course Escala has much more to offer than only anchovy, just think of a beautiful walk along the harbor of Escala, or spend a day shopping at the lively market of L’Escala. 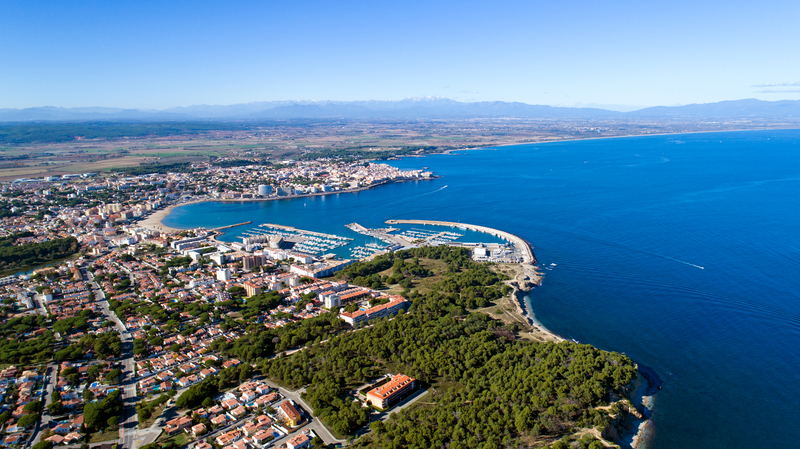 Immerse yourself in the culture of Escala and visit the beautiful ruins of Empúries. Would you like to find out why the fish business is still important for this small town, go to a museum and find out. Or take your children to the amusement park Jocs for a crazy day of fun! Escala has two major ports. When you walk along the coast you will soon find out why the fishing is so important in L’Escala. Visit the busy port of La Clota where fishing boats and yachts are docked, the port of Cala Riells and the two yacht clubs. At the beginning of the 20th century, excavations began during the construction works of L’Escala. During these excavations important heritages were found from the Roman and Ancient Greek population. 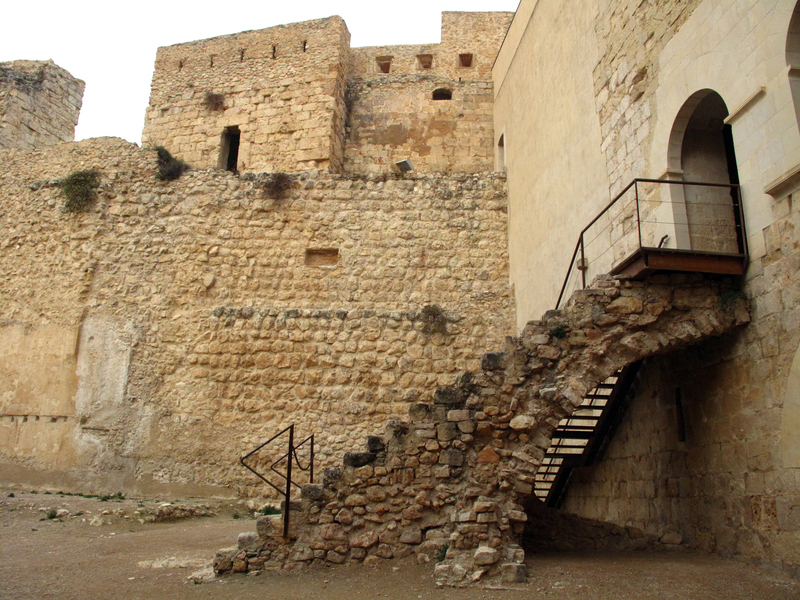 Thanks to these excavations we can tell you on this present day the history of l´Escala. More than 2.500 years ago, the Greeks moored on the beach of Escala to trade with the very rich Iberian population. Their first counter, the Palaià Pólis, was on the small island that’s in front of l’Escala, which nowadays is a part of this coastal village. Later on, the Greeks established themselves on the mainland and constructed a new city, the Néa Pólis, which is situated where now Escala is. The Greek colony of Empurià actually means “market”. Less than 100 years later, the Romans arrived at the Puerto d’Empúries, and it was their turn to build there. 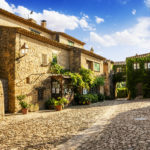 In Empuries, the open air museum of l’Escala, you can visit the heritages of the Roman and the Greek cities, the Roman forum, the impressive Domus-mosaics and the ancient Greek vases. In high season nightly tours are organized, fot those who would like to visit the ruins on times other than the organized tours have the possibility of getting a headset with explanation in different languages. Several finds that were found during the excavations are collected at this museum. Also videos are shown that were recorded during the works. During a visit to this museum you will learn all about the original village of L’Escala and the background of the fishery. Want to know why the fishing is still an important part of Escala, in this museum you get to know everything about the fishing of today. Every Saturday group tours are given in the center and at the port. The tours are in Spanish, Catalan, English or French. A museum dedicated to the famous Escalense writer Catarina Albert. Learn more about this amazing woman. Are you a real motorcycle and / or car fanatic?! Finally it´s here .. a museum for men! You will find an antique collection of old motorcycles and cars in this museum. Fancy a day of shopping? There are plenty of shops in Escala to fill your day. All stores are located in the district of El Eiells and in the charming authentic downtown Escala. You will find many different shops such as tourists and souvenir shops, clothing stores, supermarkets, and typical Spanish shops for locals. Do you like to stroll along markets. Every Sunday morning there is a big marketat Placa de L´Univers where you can buy almost EVERYTHING. 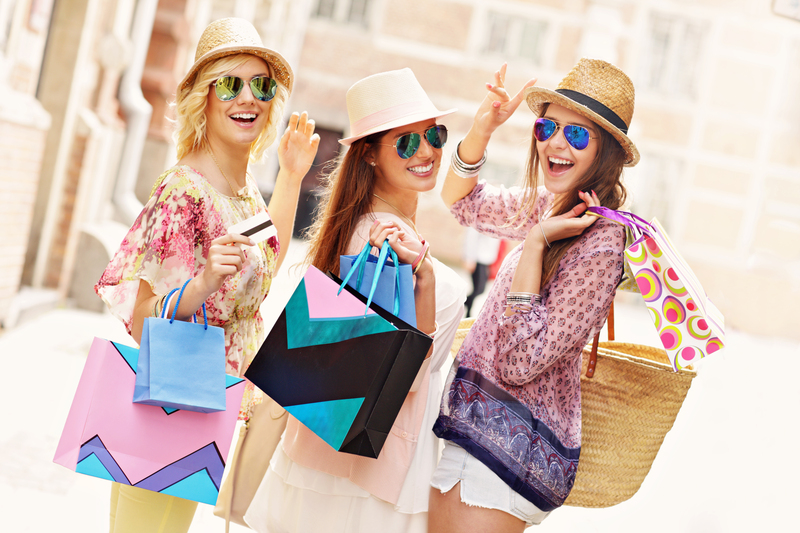 Whether you are looking for shoes, clothing, leather goods, watches and jewelery, fruit and vegetables, household items, tools, or music, you can find it all in this lively market. Want to spend a day out with the kids? Then you should definitely go to the crazy amusement park Jocs!Jump as high as you can on the trampolines, challenge each other with the several games and see your kids enjoying the bouncy castles. In summer the park is daily open from 6.00PM. Curious to know what else you can do in the area of l´Escala?! More than enough! 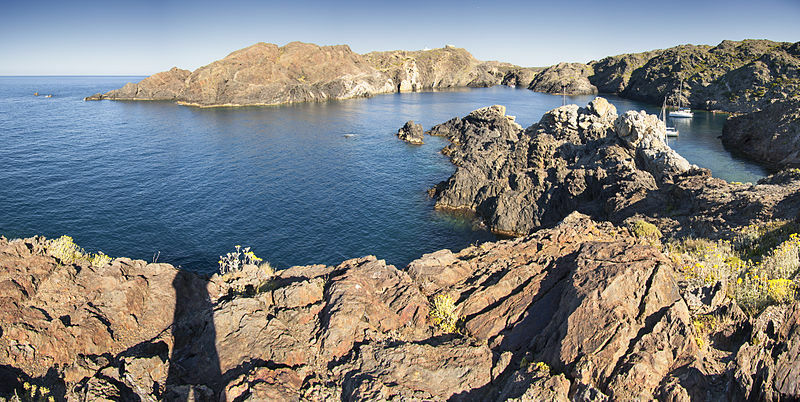 Take a little boot trip, discover the island of Cap de Creus. Visit little villages like the cozy medieval village Sant Marí, Enjoy the Spanish Culture! Or visit the legendary Empuriabrava, the biggest village of the world with houses on canals and go wild on the many watersport activities you can do there. Like to make city trips? Than you should definitely go one day to the fabulous and lively city Girona. A warm sunny day, what would be better than to breathe the fresh air on the Mediterranean sea and explore the beautiful area of L´Escala. From l´Escala you can make various boat trips. 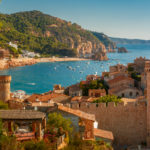 Make a trip along the steep cliffs of the Costa Brava to the Illes Medes or sail to the magnificent Cap Creus or Calella. During your holiday in Escala you must make an excursion to the hilly island Cap de Creus. The island is located in the most eastern part of the Pyrenees and is an amazing piece of untouched reserved nature. You will have the feeling you are in paradise.It is the ideal place to hike. Follow the route “Cami de Ronda” this path was built in the 19th century, and connects the charming fishing villages. You will be amazed by the magnificent views that you encounter during this route, clear blue sea, deserted coves and rugged mountains. Maybe the hike is a little challenging but we definitely recommended! When you are going to visit the ruins of d´empuries you should definitely make a stop at the little town Sant Martí that is surrounded bij walls. You’ll feel right at home in this small charming medieval village. Grab a lunch in one of the restaurants or enjoy one of the concerts in the impressive eleventh-century parish church. Take a romantic walk and enjoy the beautiful views of the Gulf of Rosas. 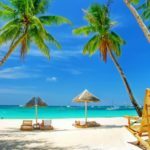 A beautiful small beach that is very popular among tourists. Just outside Escala you will find the medieval village Cala Montgo. Spend a pleasant day at this lovely place with its bright colored houses and narrow little streets. For those who like to dive or snorkel, you will love the protected natural park that is located in Cala Montgo. Explore the underwater world, you will be amazed by all the different sea species you will see. Prefer to stay above the water? Rent a kayak and enjou a wild day along the impressive cliffs and caves of the costa brava. 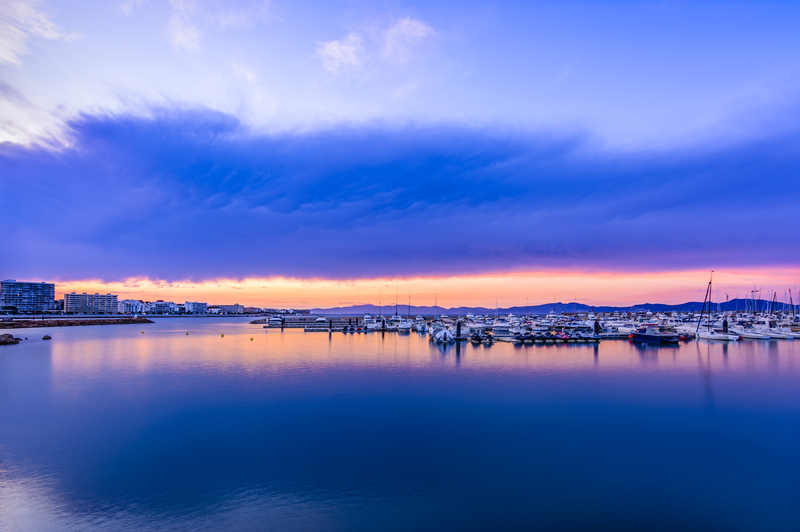 Visit the impressive harbor Empuriabrava, also known as the largest village in the world with houses on canals!Many large and small canals traverse the town and there are around 5,000 mooring places. About 35 years ago, this town was built and over the years it has become a paradise for water sports lovers.The village is perfectly located in the heart of the Costa Brava in the beautiful nature reserve Aiguamolls de l’Empordà near the Pyrenees. You can spend all day at this lovely place, enjoy the beautiful sandy beaches, make a boat trip, go hiking or biking, shop along the promenade where you can find countless little shops, restaurants, bars, boutiques and supermarkets. And of course don´t forget to make a trip on one of the watersport activities. Close to l´Escala you will find the city Roses, it is the ideal town when you are looking for a nice day out with the whole family. Although the town is very popular among the tourists you can still sense the origin and history in the old town center. Highly recommended is a visit to the monastery of Santa Maria de Rosas. Every year many festivals are organized in the city of Roses, such as jazz festivals and folk events. Looking for a buzzing night out? Roses has many cozy restaurants and bars where you can enjoy a night out! Looking for a real Catalan city then you should definitely pay a visit to Girona. Discover the atmospheric old city with its magnificent cathedral and museum.Or walk through the quaint narrow streets and pamper yourself in one of the Arab baths. Looking for romance? It is very romantic to walk along the beautiful banks of the Riu Onyar, where you can enjoy all the cheerful colored houses. And of course without a doubt Girona is an ideal place to shop! Had enough rest and seen enough culture for the moment? Then you are probably in for an active day! 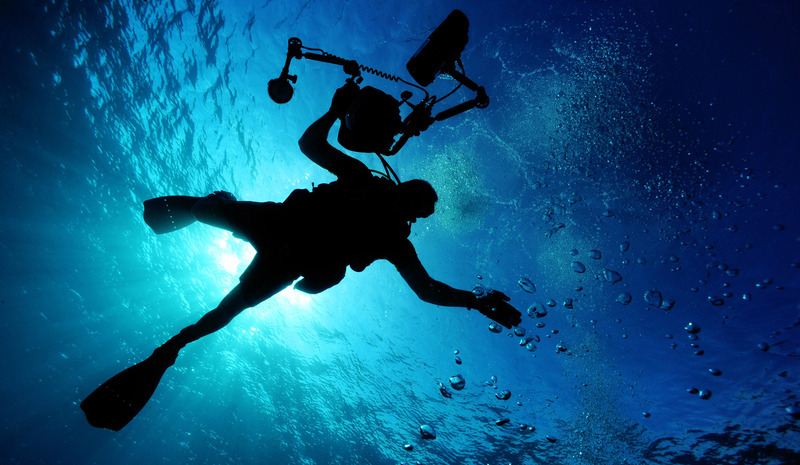 Discover all the beauty of the underwater world and go diving. Brace yourself and hold on to the crazy banana or speed over the water on a jet ski. Jump on your bike or go for a walk and discover the beautiful surrounding of l´Escala.Take out your tennis racket and play a game of tennis on the tennis court of Escala, swim lengths in the indoor pool or go and sweat yourself out in the gym. In L’Escala and its area you will find plenty of sports facilities. L’Escala is the perfect location for those who enjoy diving. In L’Escala you can find several diving schools where you can go to. Some famous diving schools are: Diving Center Dive Paradís, International Diving Center, Dive Mateua, Orca Diving Center Diving Grassi sub. At the busy and lively beach of Riells you can find almost everything you can think of when it comes to watersports. From Jet skis, windsurfing, sailing, diving, a trip on the catamaran to parasailing and a wild ride on the banana boat. Route Pla d’Ullà: This route starts at Bellcaire, you will pass the Montgí massif and the authentic country village Ullà. On your way back you will pass the Riu Ter. The route is approximately 12km. Route L’Estany the Bellcaire: During this tour of about 14km you’ll discover the south inland part of l´Escala. You will pass the rice fields of Bellcaire and beautiful fiels full of sunflowers. If you would like to have more routes and maps you can contact the tourist office at location. If you didn´t bring your own bike, there are enough renting places in Escala to rent a bike. Because L’Escala is situated in a diverse environment, it is an ideal holiday place for those who enjoy walking. You can go hiking through the rough nature park and the hilly inland or walk along the long coast of L´Escala. But also the route Castell del Montgrí Emita pass the Santa Caterina to the 13th century castle Castell del Montgrí is an interesting route where you will see the most beautiful views. For those who are looking for more excitement, race against your friends or family on the go-kart track. At the southern exit direction Torroella de Montgrí you can find a crazy kart track. It ain´t a holiday without a day on the beach! Relaxing on a beautiful white sandy beach overlooking the crystal clear water of the sea. During your holiday in l´Escala you will have the choice out of six different beaches, so there is plenty of variation for you! Do you like to go to a lively beach where its buzzing and full of laughter of the people having fun, the two most busiest and biggest beaches in l´Escala are Cala Montgó and Riells. 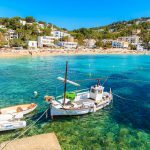 For those who are looking for a little more privacy or rest can enjoy a day on one of the smaller en quieter beaches of Escala such as Playa des Barques, Playa de la Creu, Playa de Rec and Playa de Portitxil. Beautiful beach with fine, golden sand, this beach is close to the center of Escala en offers different holiday facilities, such as a lively promenade, watersportactivities, beds and parasols rental, etc. The moon shaped soft sandy beach of Riells lays just along one of the dikes that connect to the modern center of Riells. A little bit further you will find some little shallow bays, where the lovers of untouched nature can enjoy. Beautiful beach but not very convenient to spend a nice comfortable day on the beach. The sand is rocky and there are little streams which are dangerous to swim in. This beach has a shallow bay with rocks, the impressive watchtower de la Creu is located on this beach. A wide and soft sandy beach which stretches all the way to the caves. A little small bay surrounded by the cliffs of Les Musderes. For those that are looking for a lively and thrilling nightlife full of discotheques shouldn´t go on holiday to l´Escala. However Escala has definitely more than enough to offer when it comes to going out for the evening. It is full of delicious restaurants and cozy little bars. Most bars you will find in the touristic center of El Riells and in the old town center. Have a drink at one of the lively and cozy pubs or local bars. Not ready to go to bed yet? There are some discotheques where you can dance and party all night long until sunrise! In most restaurants you will find mostly typical Spanish dishes on the menu. 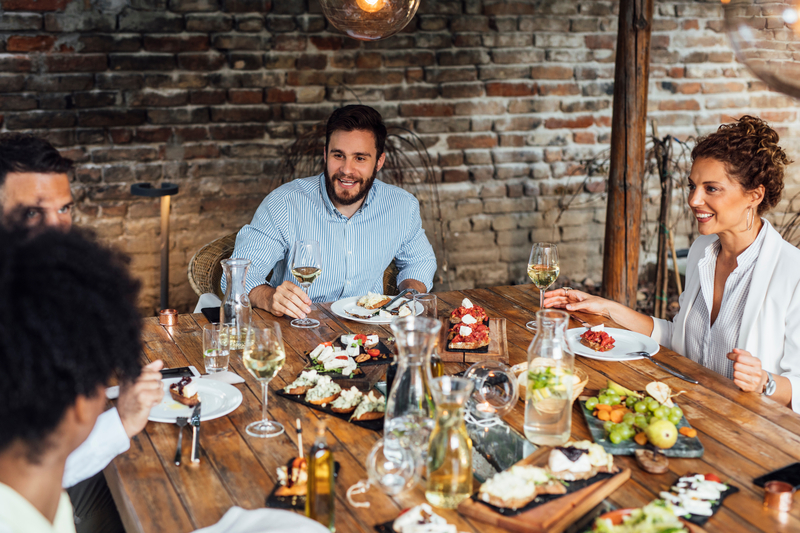 Because l´Escala is a popular place for tourist you will also find restaurants with an international cuisine and off course the famous fish restaurants with the freshly made catch of the days! Most restaurants are located in the lively and touristic center of El Riells and in the old town center. Below we have selected a few of the finest and best restaurants in l´Escala. A very cozy and modern restaurant wich gives you the feeling that you are inside of a cave. For a very affordable price you can eat delicious authentic Catalan dishes. Beautiful location, good food, fast service and a fabulous atmosphere. This restaurant is very popular among tourists. If you like fish than you absolutely must go to this restaurant! It is one of the best fish restaurants in Spain! Very romantic restaurant with a beautiful view, taste the fresh seafood and the excellent wine list. Take a table on the terrace and enjoy the beautiful view overlooking the gorgeous pink bay. Excellent food, especially the seafood are really recommended. A very romantic Italian restaurant where you can sit outside and enjoy the authentic Italian dishes. For those that are looking for some more variation on the menu should go to this restaurant. A modern restaurant where you can get European dishes. Spain is a country full of parties, traditions, folk and culture. And Escala is no different! 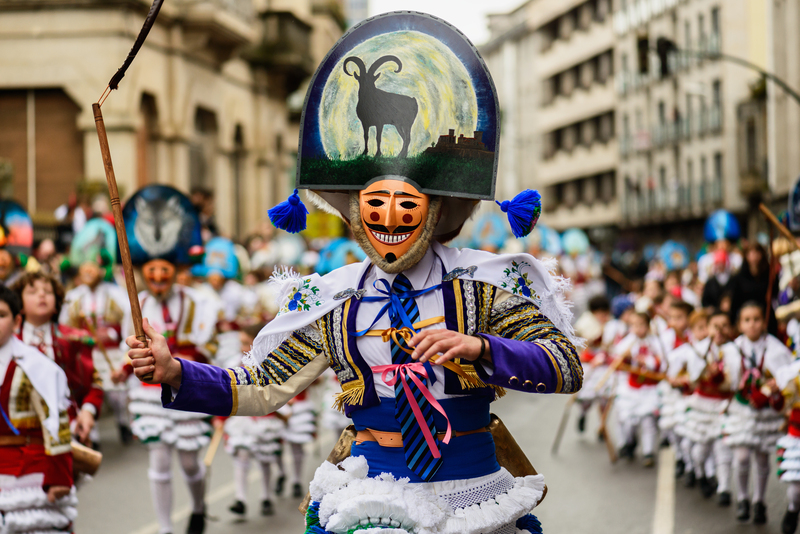 Every year typical regional cultural and folk activities take place in this city, such as a fantastic parade with giant puppets and lace making. But escala also has events that are specially organized to celebrate the fishery of l¨Escala: Festa del la Anxova, Festa de la Sal and Festa del Came. Furthermore you have the sardana, a combination of music and dance which is an important expressions of the Catalan identity. And the musical tradition, Havanera which made Calella de Palafrugell famous. But Escala also has its own Cantada d´Havaneres with for example Els Pescadors de l´Escala. In Spain they also celebrate Carnival, there is a cheerful colorful parade full of music going through the streets of l´Escala. In the spring they celebrate this fun festival. This festival is originated in the time of the Greeks and Romans.In highseason you can go every Wednesday at 10 am to the beach and celebrate this musical tradition which is really important for the Catalan culture. Every year in August, the organize a gig for a large group of audience including Els Pescadors de L’Escala. A tradition that is held in several villages. In the spring it is held in l´Escala, you can see beautiful handmade laces. This festival revolves all about the fishing. On the 16th of July they have a procession over sea that goes to l’Escala, they do this to celebrate the patroness of the seafarer. Off course, this party can´t be missed in l´Escala, the feast of the anchovies! At the beginning of October 1000nds of people come to l´Escala to eat the famous anchovies. The feast of the salt. It may sound strange but on this day they revises the history of the city l´Escala. Each city or town in Spain celebrates its own festa Major, on the second of September Escala celebrates this feast of Santa Maxima patroness of L’Escala. In some countries, Valentine’s day is the day of love. In Catalunyathe has a similar feast on the 23rd of April called San Jordi. Women throughout Catalunya get roses from their husbands, friends and lovers. The eleven of September is the National holiday of Catalonia. On this day the Catalans recall there autonomy that they lost on this day in 1714, however since 1975 they have significantly recovered it again. On Good Friday a large group of people replay the story of the passion of Jezus on the street of l´Escala. A holiday that is focused primarily on children. On this day they get presents. It is the feast of the three kings who arrived to l´Escala over sea. Can´t wait to plan your holiday in l’Escala but you’re still looking for some practical information? Should you bring a raincoat or do you have to pack your sunscreen and bikini? And what about public transportation on location? What if something drastic happens where do you go to? 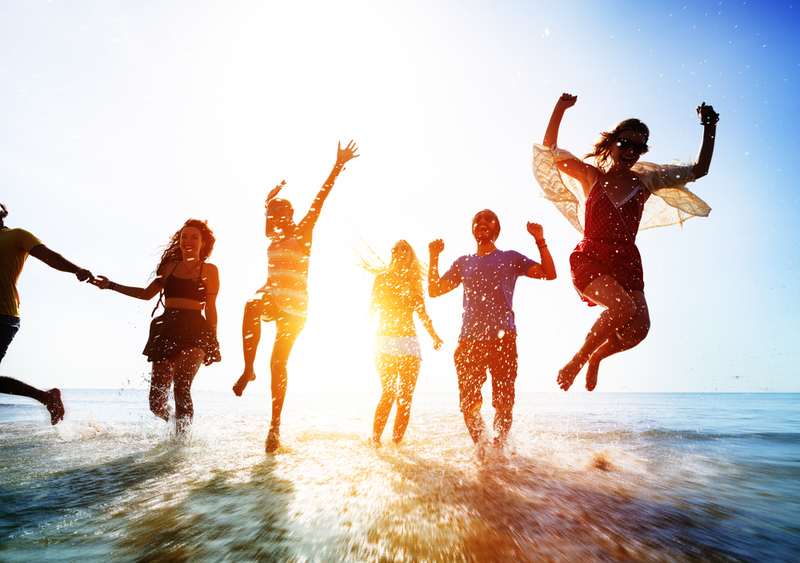 To all these questions we have the answer, below you can find some useful information so you can optimally plan your holiday and you can go on holiday without having to worry about anything! The small coastal town of L’Escala is located on the Costa Brava, about 60km from the French-Spanish border. In the province of Girona. Thanks to its Mediterranean climate l´Escala is an ideal holiday destination for those who love to enjoy the sun, the sea and the beach. Hot summers and mild winters. So don´t forget your sunscreen, a day unprotected on the beach and you will be red for sure. Do you like swimming, from the end of June the seawater has a pleasant temperature, before this date the sea temperature is below 20 degrees. Although the summers are warm and sunny in Escala, there can also be some heavy rain and/or thunderstorms from time to time. But don´t worry, It hardly ever rains more days in a row. Escala is perfectly located to go to both by plane as by car. The charming town is about 55kilometer from Girona airport and about 150kilometer from the Barcelona airport. From the airport Girona you can get a bus to get to l´Escala, the buses run on regular times. You will have to change at Flaca. Of course you can also choose for a little more comfort and take a taxi. From Barcelona airport you can catch the train. The nearest stations to l´Escala are in Camallera (16km), Figueres and Flaca (25km) From there you can take the bus to l´Escala. Bus services. From l’Escala you can get the buss to various cities in the area. Figueres: Every day 6 buses go to this town. Girona: If you want to go to Girona you will have to change in Flaca, everyday 5 bus services run to this place. Barcelona: Daily 4 buses go to Barcelona, the last stop is at Barcelona bus station north, near the Arc de Triomf. Barcelona Airport: Every day 2 buses go to Barcelona Airport. To enter Spain you will need a valid passport or valid identity card. We advise young people to always take there ID when they go out at night, some clubs may ask for it when you want to enter the club. As you probably already know they speak Spanish in Spain. Fortunately most people that live and work in l´Escala speak perfectly English. Besides Spanish and English they also speak Catalan. In l´Escala the default time zone is UTC / GMT +1 h. Also known as the Central European Time zone.l´Escala also has summer and winter time where you resistance the clock one hour. In Spain you have the euro as in most European countries. The best way to get cash is by using a ATM. There are plenty of ATMs in the center of l´Escala. It is comment to give a tip to waiters, guides and taxi drivers of about 5 to 10%. Of course it is entirely up to you if you find the service tip worthy. Afraid of needles, good news! Vaccinations are not required. In l´Escala the tap water is drinkable. However it is not recommended, in some areas there is still to much chlorine in it. It is no problem to use the water for brushing your teeth but for drinking we would advise you to buy bottles of water. You can buy a 5 liter bottle for only 1,20euro. l´Escala is a safe city to walk around, even at night. However we always recommend you to keep an eye on your stuff in case of pickpockets. Unfortunately in highseason you will always find some pickpockets walking around the streets or bars looking for a victim. Watch your bag! We always hope it won´t be necessary but just in case we have put down some important information for if you need first aid. For the first medical aid (First Aid = you can go to the medical center ¨ Centre d’Atencio Primaria (CAP), this place is located just behind Hotel Nieves Mar in L’Escala. The nearest local hospital can be found in Figueres. In Girona you can find a university hospital. Calls to countries in Europe. Enjoy your holiday the way you want it. 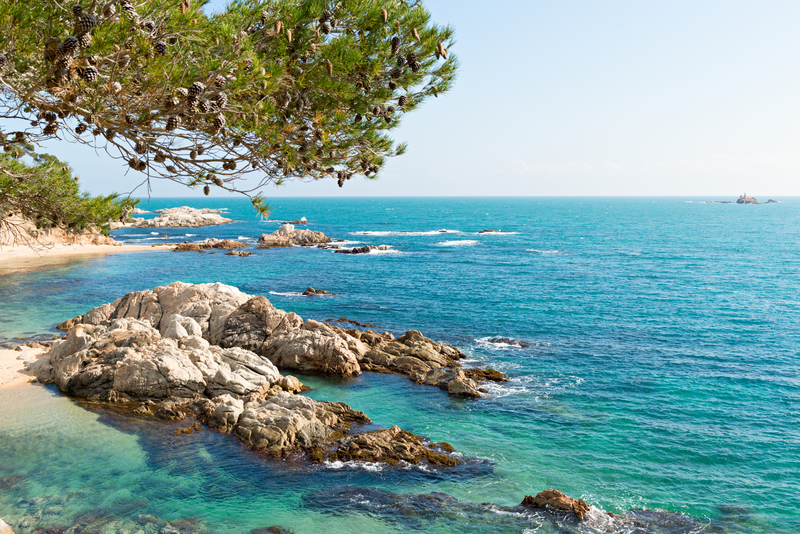 A holiday in l’Escala has plenty to offer. Enjoy this charming fishing village and taste the delicious famous anchovies. 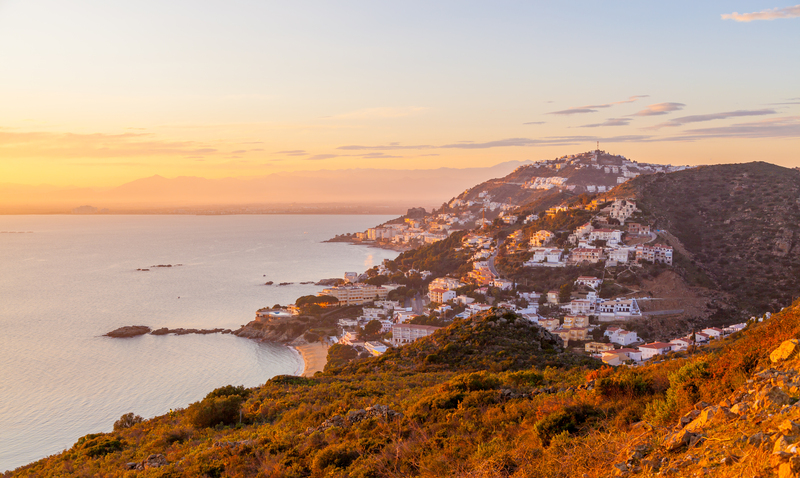 Enjoy a day at the beach or take a scenic walk towards the inland of the Costa Brava. Visit the magnificent ruins of Empurees and relive the history of l’Escala in one of the many museums. Find out why the fishing is still so important in this town and taste the freshly caught fish in one of the lovely restaurants which you will find in the lively but cozy center of Escala. Book your villa in l´Escala now!